In the heart of the Central West End is the World Chess Hall of Fame. 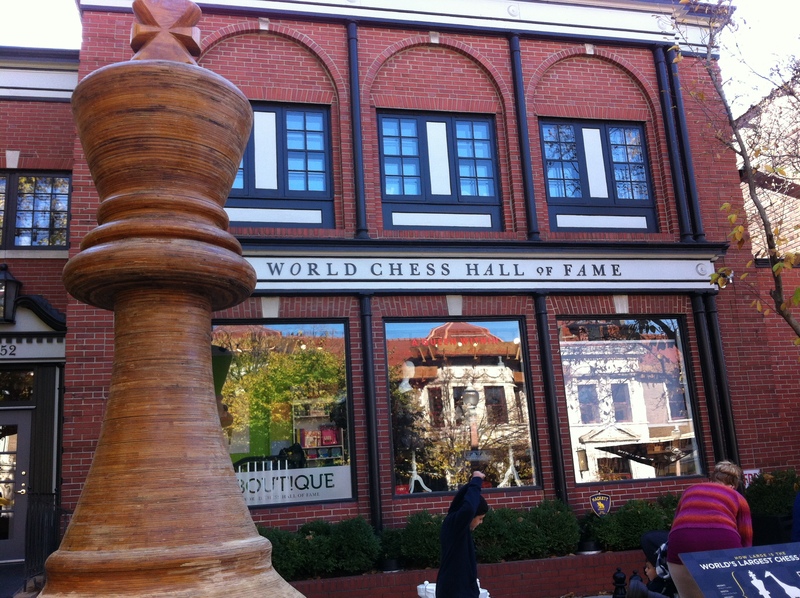 This museum is just 5 doors down from the Froyo and has the largest chess piece in the world. St. Louis seems to be a random location for the museum, since St. Louis has little to no history in the chess world and no famous chess players are from St. Louis. The museum had two exhibits. The top floor housed the Hall of Fame itself with plaques describing all the inductees which includes the likes of Bobby Fischer and Gary Kasparov. 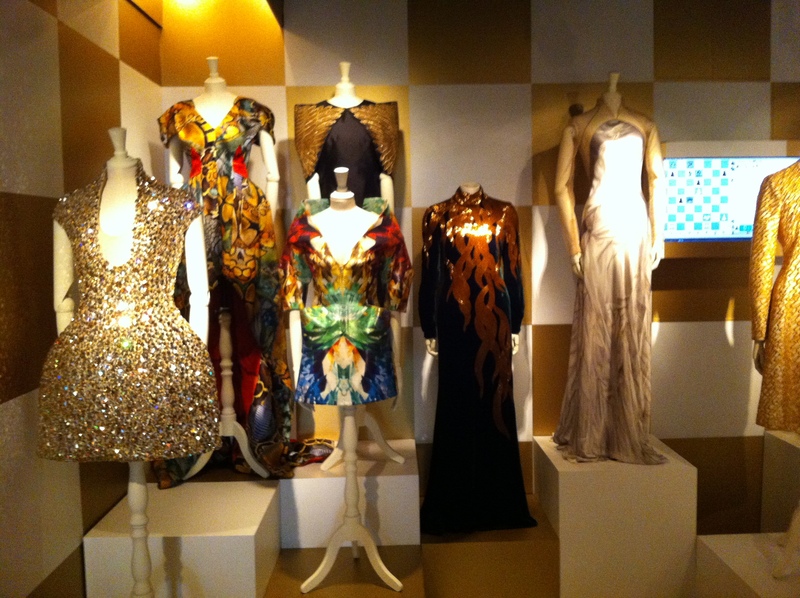 The bottom two floors housed an exhibit called “The Queen Within” which combines fashion and chess (a world first). Because there is a potential for a player to control 9 queens on the chessboard (1 queen plus all the pawns reaching the end), there are nine archetypes for the queen (this is a really big stretch, but hey the curators have to attract people to the museum somehow). For each of the nine archetypes, the museum obtained couture dresses that fit each archetype including the Sage, Mother Figure, and Enchantress. These couture dresses are done by some of the greatest designers of all time including Jean-Paul Gauthier, Alexander McQueen, and Gucci. 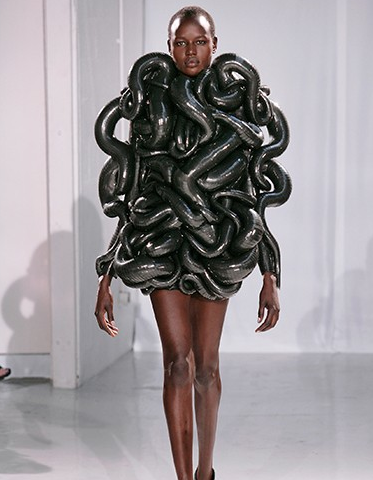 Couture is the intersection of clothing and art. The dresses exhibited are not meant to be worn by average people, rather, they are meant to be wearable art. Therefore, the dresses are handmade, very elaborate, and unique. Because the dresses are so valuable, many of them came with their own handler. As a result, there are more exhibit attendants than people viewing the exhibit. Snake dress featured in the exhibit. Not sure how this relates to chess, but hey its pretty cool. While certainly not as much chess as expected, the World Chess Hall of Fame is worth checking out if in the Central West End. Word on the street is that the next exhibit at the Hall of Fame is “Hip Hop and Chess”.